After a series of short teasers, Netflix has finally released the full-length trailer and a new poster for Marvel’s Jessica Jones. The crime-fighting drama stars Krysten Ritter, Mike Colter, David Tennant, Rachael Taylor and Carrie-Anne Moss. 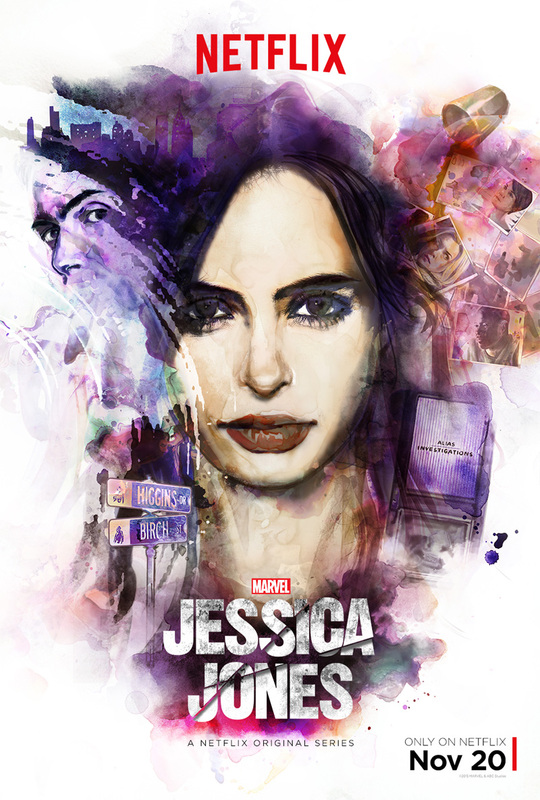 After a tragic ending to her short-lived superhero stint, Jessica Jones is rebuilding her personal life and career as a detective who gets pulled into cases involving people with extraordinary abilities in New York City. The character Jessica Jones was created by writer Brian Michael Bendis and artist Michael Gaydos for the ALIAS comic book series. The series will premiere November 20, 2015 on Netflix.